SANTA MONICA, Calif. (October 30, 2013) — On Friday, October 18, 2013, during the 135th AES Convention in New York City, The Recording Academy® Producers & Engineers Wing® and the UK's Association of Professional Recording Services (APRS) held an event titled "The Mix" at Jungle City Studios on West 27 St. in New York. 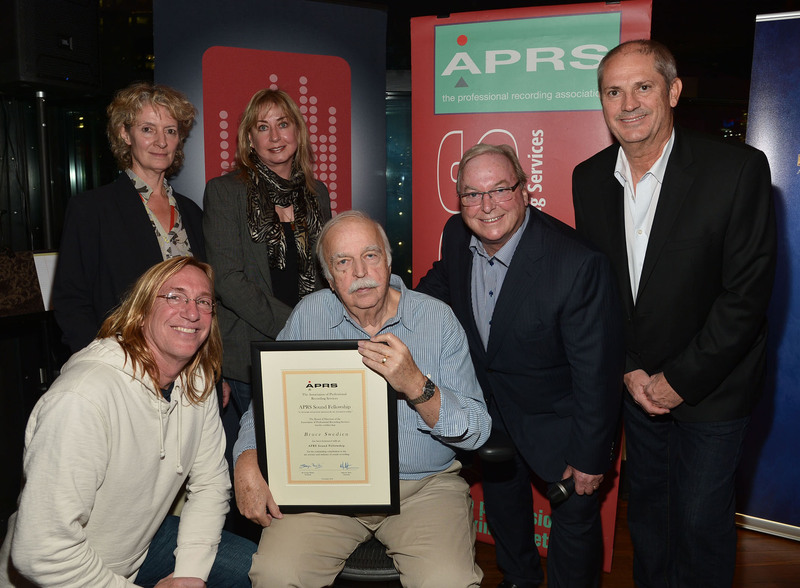 The event brought producers, engineers and industry professionals together for a cocktail reception and presentation of the APRS Sound Fellowship to GRAMMY®-winning engineer Bruce Swedien. Event sponsors included AKG®, GC Pro, iZotope, JBL Professional®, Lavry, Lexicon®, Record Plant and SPARS.